The Nottinghamshire Torch SCITT (NTS) is a great place to train to be a teacher. With our extensive package of support and guidance, choosing the School Direct Training Pathway with NTS can offer you the very best training and preparation for your career. Your training will be mapped out for you in detail, ensuring that you gain the right experience in your subject specialism but also in school management, pastoral care and the wider role of a teacher. At the end of the course you will have secured a Post Graduate Certificate of Education (PGCE) with 60 Masters Credits from the University of Nottingham. This is the main element of the programme. It is based on you developing your practice working alongside school-based mentors. Timetables will be developed to progress practice, by having an escalation of the number of lessons taught and/or developing stages in practice, from supporting the classroom teacher to team teaching with the class teacher to taking elements of a lesson to taking full lessons. The team teaching is classified as a recognised aspect of the training. Classroom work will be based in two schools over the course of the year, including KS5 for at least one of the placements. Mentors will meet with you for a minimum of one hour per week. At the start of the programme, you will have an intensive induction to the teaching and learning process, including discussion and development of basic elements of teaching, introduction to planning and curriculum, behaviour management and safeguarding etc. The aim is to give you a thorough grounding prior to starting school placements. This will enable deeper, more detailed coverage of the professional standards to be done later during the training year. It will also include 2 weeks in a local Primary school to look at all key stages with a key focus on your own subject specialism and how it is taught in primary and to develop an understanding of the issues arising from transition from primary to secondary. It will include an introduction to phonics. Beyond the two block teaching placements, the remainder of the year will be used to allow for the development of learning and understanding in each of the main areas. This will allow a flexible approach with periodic tutorial inputs, seminar work in subject groups or whole cohorts dependent on the focus etc. It would also allow for the embedding of the cyclic pattern of theoretical understanding, practical development and reflection on important issues outlined above. The Core Training Days will include 10 days at the University of Nottingham, 6 subject specific days and some days for independent study. This is a unique feature of the programme. It is our aim to offer you an international experience so that you can more deeply appreciate the need to secure high standards and outcomes for students to enable them to compete in a global world. We believe that this experience can assist you in deepening your pedagogical thinking and help you to develop into reflective practitioners. We already have links with the teaching school in Jyväskylä, Finland. Teachers from the secondary school visited Toot Hill School in April 2014 to further develop this link. This, or a similar exchange will be part funded using fee income. You will be expected to fund your subsistence needs. All teachers are teachers of Special Educational Needs and are accountable for the progress that SEN/D children make in their subject. It is imperative that you are well prepared to support students with SEN/D and we have therefore included a week’s experience in a special school to further enhance the core training related to pupils with SEN/D. This will give you experience of a range of special educational needs, strategies for supporting students with such needs plus real experience of differentiation and personalised learning. This will give you an excellent grounding for teaching SEN/D students within mainstream classes. In most subjects we offer both Core and School Direct pathways, in Physics, Chemistry and English we are also offering the School Direct (Salaried) route. The Nottinghamshire Torch SCITT will be offering School Direct (salaried) places in Physics, Chemistry and English. If you are a graduate and have been working for around three years in any career, School Direct (salaried) places are available to you. The School Direct (salaried) route lasts a year and is a great choice if you want to stay in the world of work, as you will be employed as an unqualified teacher during your training while you learn ‘on the job’. As a School Direct (salaried) trainee, you’ll be surrounded by experienced teachers and mentors to support you from the start in exactly the same way as the Core training pathway. You will spend the majority of the training year in one school with a six week placement in a second school. The international, special school and primary placements are available to School Direct (salaried) Trainees at the discretion of their main school as is as the intensive 3 week induction programme. Disclaimer: Course details are subject to change. 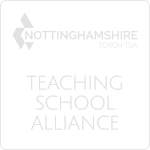 While we will do all we can to ensure the information on these pages is accurate and up-to-date, The Nottinghamshire Torch SCITT reserves the right to change the content, modules and titles of any courses listed without prior warning.